Social media is key to reaching your maximum potential audience for each piece of your content marketing. Yet, how are you supposed to succeed in driving traffic via social networks when poster child Buffer admits it has a social media #FAIL? 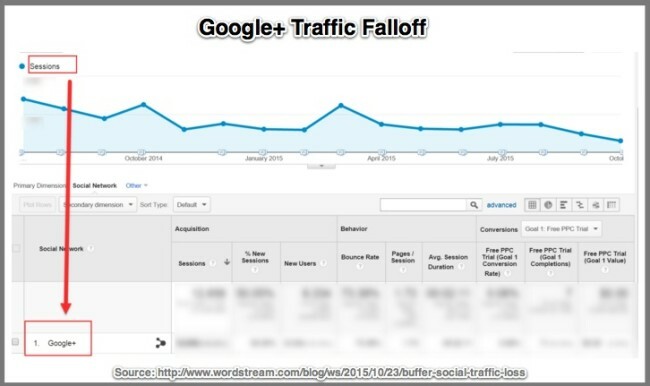 Buffer’s social media associated traffic declined 45% or about 100,000 visits per month. Here’s Buffer’s breakout by network. In case you’re not familiar with Buffer, it’s a social media scheduling tool that uses its blog to attract prospects. It’s gained attention for its fast growth for 3 main reasons. 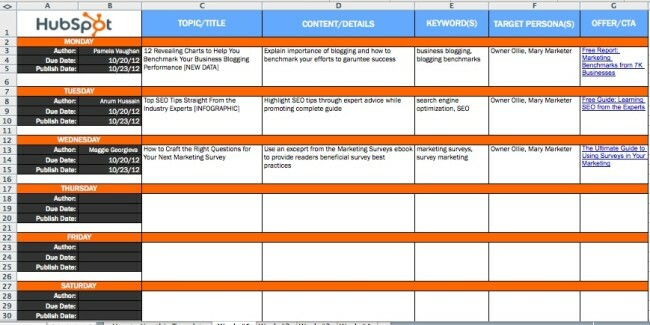 Leo Widrich grew the business to 100,000 users with a rigorous guest blogging schedule. 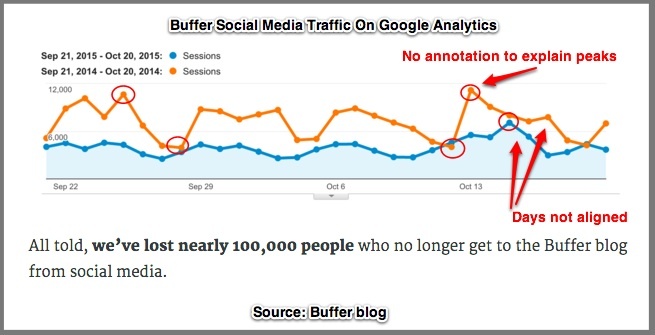 This allowed Buffer to tap into large existing audiences at no cost beyond the blog post. It also supported search. Buffer blog posts follow a formula that was unique when they started blogging. They provide in-depth data and tactics filled with screenshots and charts. Before analyzing Buffer’s social media falloff so you can keep your social media traffic from declining, it’s important to note that we applaud Buffer and Kevan Lee in particular for their transparency in sharing this information. We hope our analysis adds to the marketing community’s collective knowledge to empower all of us to improve our results. 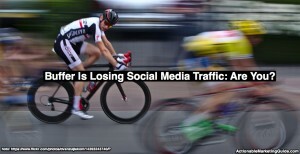 Buffer’s social media traffic falloff is attributable to 3 key factors. 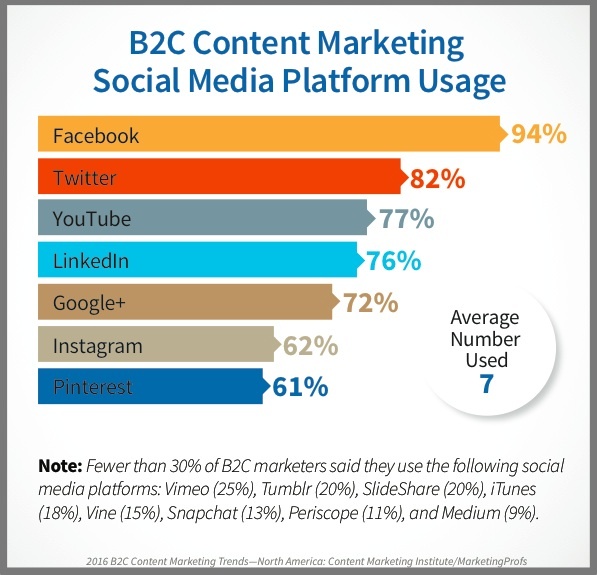 If you understand where Buffer’s marketing strategy missed, then you can improve your social media traffic. Most marketers have trouble tracking social media results directly. While traffic is a useful metric, it doesn’t necessarily translate to revenue-related activity. A quick examination of their data reveals 2 issues you can easily correct on your Google Analytics. Don’t use Google Analytics year over year default. The days aren’t matched. Different days of the week have distinctly different response rates. Record internal and external events of note. Keep track of marketing and environmental factors to understand changes in your results. For Buffer this was key, they announced that they pivoted their editorial approach in the middle of this period! Understandably, Buffer didn’t present a full picture of their analytics so that the following factors can’t be assessed. That said, you should understand how your social media and other distribution channel interaction. Email subscriptions. Have these increased causing readers not to click-through on social media entities? Unsubscribes. Are people leaving at a higher rate? This could point to deeper content problems. Free registrations. Are people still signing up for the free version of Buffer at the same rate? If not, is there a bigger issue? For other marketers, this may be gated content. Conversion rates. Have prospects changed their behavior or is the offer of poor value? This refers to the registration for free and paid products. The social media traffic falloff problem may extend to other channels. Are readers still using other traffic channels at the same rate? This may mean readers are using other methods of finding information. Has search-related traffic remained constant? Has there been a change in the words used to find the website? Search should be every content marketer’s safety school. 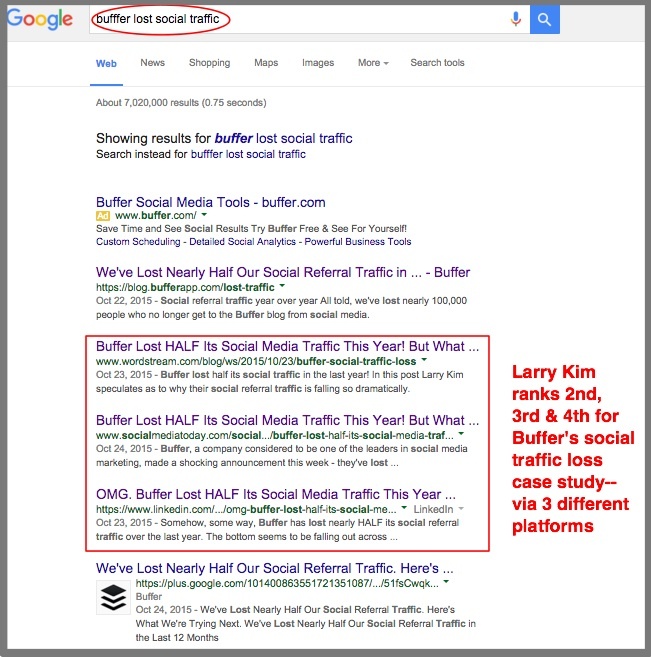 Ironically, Larry Kim’s columns place in 3 out of the top 5 search entries for Buffer’s article! Have sites like Buffer such as Social Media Examiner experienced a similar falloff? Are there new players in the category that are taking market share from Buffer? Social media blogs are a hot category where longevity and quality matter. For example, Neil Patel has a marketing-oriented blog where he’s publicly tracking his progress to $100,000 per month challenge. 2. Changes in direct product competitors. As social media scheduling has become more important, other players have improved their products and new entrants have attracted attention. Strong social media effort and related advertising support won’t get weak content read or shared. Buffer built its reputation on its highly formulaic content in a crowed category, social media, that was original when it first appeared but, to paraphrase Rand Fishkin, others have learned from their success. Lifehacking and productivity posts spread far and brought in lots of traffic. Social media articles aligned with the product and had great conversion rate. Aside: As a marketer you need a combination of high numbers and strong conversions since only a small proportion of your readers will convert. To this end, continually test every element of your offering. Content Problem #2 – Knowing your audience. Your content isn’t about you, even if you’re the target market for your product! It’s about your audience. This is a key element of every content strategy. Without it, how can you know what your readers’ needs and pain points are? I give Lee credit since he openly admits he doesn’t know who his audience is. Say what??? This should be a no-brainer for Buffer. It’s a social media scheduling platform with free and paid users. Translation: They can/do collect additional information about their users and use this information to enhance their content. Let readers ask questions. Put a question box on your website. Pat Flynn of Smart Passive Income does this. Content Problem #3 – Buffer just started using an editorial calendar. This was a BIG surprise since an editorial calendar is key to quality content creation and distribution. Look at their blog and you’ll see inconsistent posting. Think like a media entity to plan content in 1 or 2 week chunks. This makes it easier to think in terms of special columns. Research shows that a strong editorial process yields better results. While it incorporates visuals in every post, Buffer only focuses on its text content. Providing different content formats increases your audience. It’s distributed on different platforms giving you more exposure and it reaches people who don’t like to read. Expand your content with a podcast. BTW, Social Media Examiner’s Mike Stelzner has considered podcasting the untapped media entity for several years. His podcast is a weekly fixture in the Social Media Examiner editorial calendar. Content Problem #5 – Missed opportunity: Content curation. Send a weekly or monthly email roundup. This should be a no brainer. In addition to being a good way to save unsubscribes who don’t want so much email, it’s a good way to stay top of mind. Create an interview series. 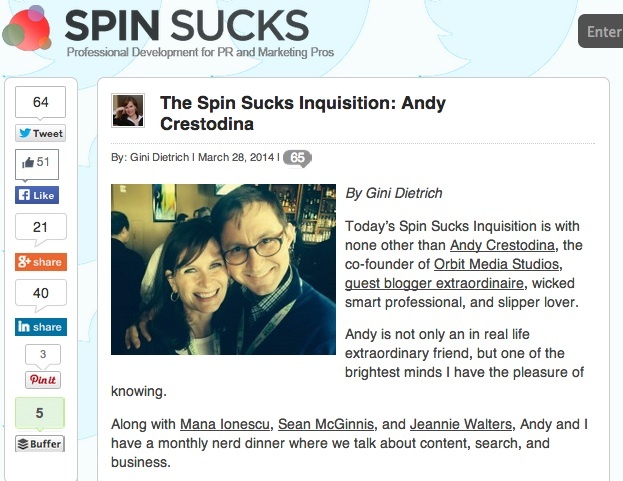 Gini Dietrich has the Spin Inquisition and Actionable Marketing Guide has the author interview. BTW, here are 5 ways to curate blog content. 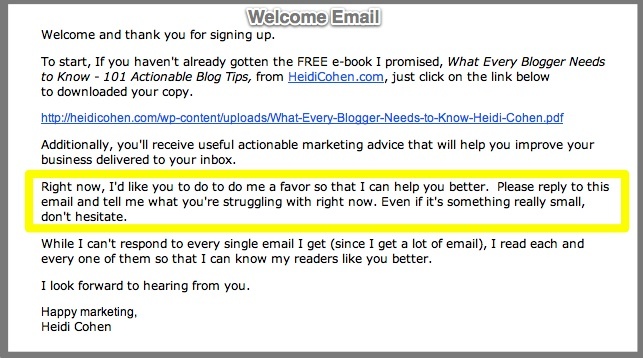 Since the Buffer blog grew based on guest blog posting, it’s surprising that it’s not a core element of their content. Patel has focused on his content efforts lately and has increased his guest posting on a variety of top tier blogs and media entities with high quality content. During the past year, social media has continued to evolve beyond being solely a social network. Social media platforms have become full-fledged media entities that need to meet their own revenue targets. Use of social media requires paid advertising support to maintain the same level of visibility on many platforms. Facebook openly stated the need to increase newsfeed visibility with advertising in their latest financial report. (Here’s an analysis of Facebook results.) To get visibility you need Facebook advertising. Target your social media ad spend by using Facebook’s analytics. For more Facebook help, read Jon Loomer. Google+ has lost its status within Google. As a result, organic Google+ results have fallen off significantly. Larry Kim confirms that this happened to their G+ results. Buffer only discusses its use of 4 social media platforms. 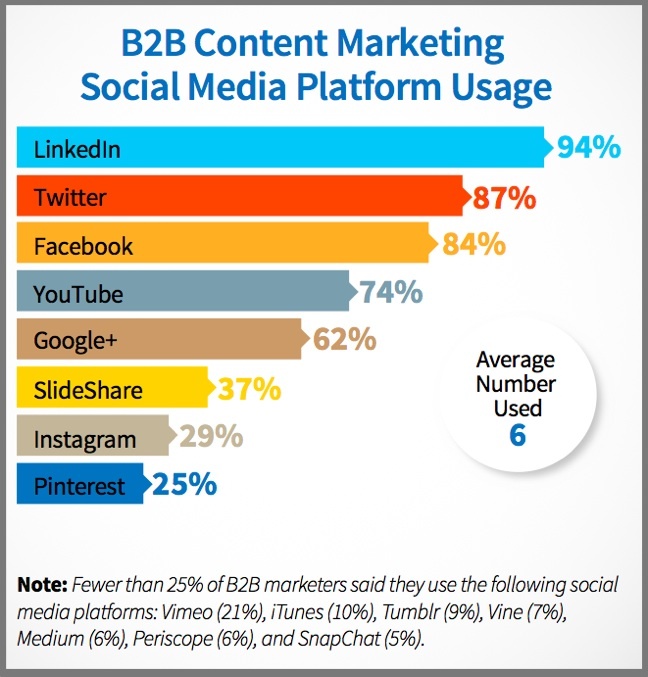 Yet Content Marketing Institute/MarketingProfs research shows that both B2B and B2C marketers use an average of 6 and 7 platforms respectively. It’s a good guess Buffer needs to increase the number social media platforms it uses. Include YouTube in your social media mix. YouTube is the second largest search engine after Google. It’s worth noting Buffer doesn’t have headcount specifically focused on social media interaction. 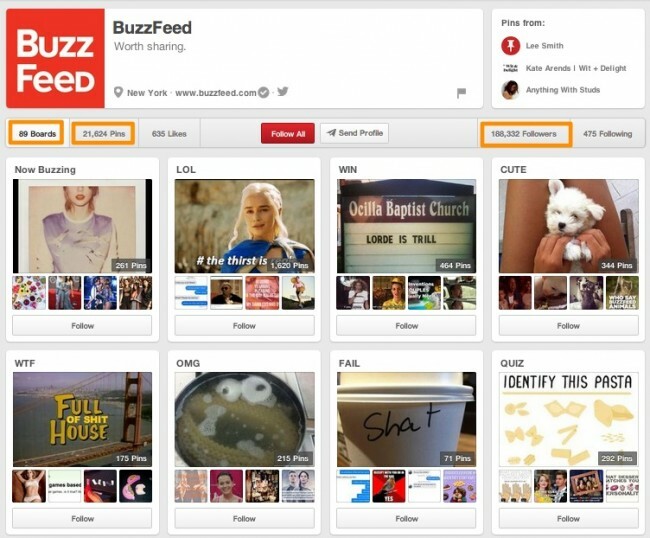 By contrast media entities like BuzzFeed have staff focused on specific social media platforms. As a result, they tailor content to specific social network audiences. On the topic of social media the one element Buffer didn’t discuss was community. This is probably a bigger issue than the lack of headcount. They’re a social media technology offering. Community should be a core element of their DNA. Community is key for The Skimm. What does Buffer’s experience mean for your social media traffic? Your social media traffic is connected to the rest of your marketing. It’s not a once and done distribution exercise. You need to start with high quality content that’s part of a well-planned content strategy associated with your business goals and your audience’s needs. It also requires an editorial calendar!!! Choose your content focus with care to minimize your competition and meet your audience’s needs, even if they don’t realize they need it! Your content must evolve to encompass other content formats such as video and podcasts. To maximize your social media reach, have an advertising budget. Numbers alone don’t do it! Also, don’t leave your community with nowhere to go. Give them a reason to connect and participate. How has your social media traffic been holding up? Tags Buffer, BuzzFeed, Gini Dietrich, Hubspot, Jay Baer, Jon Loomer, Kevan Lee, Leo Widrich, Mike Stelzner, Neil Patel, Social Media Examiner, YouTube. Bookmark the permalink. 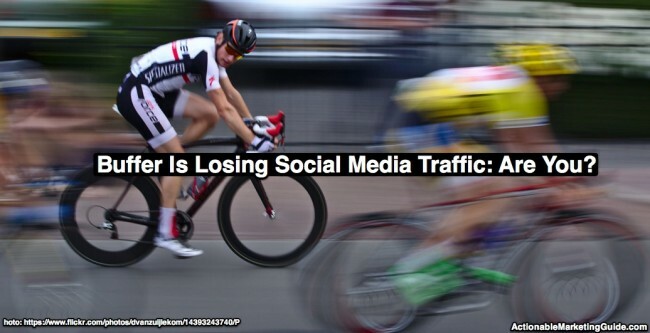 One Response to Buffer Is Losing Social Media Traffic: Are You? This is a great post for many who wonders how even after a great social media campaign startup after some time they starts to loose the traffic from it. I think you really explained it very well here. I hope this post will explain so questions and eventually help those who goes through this phase.